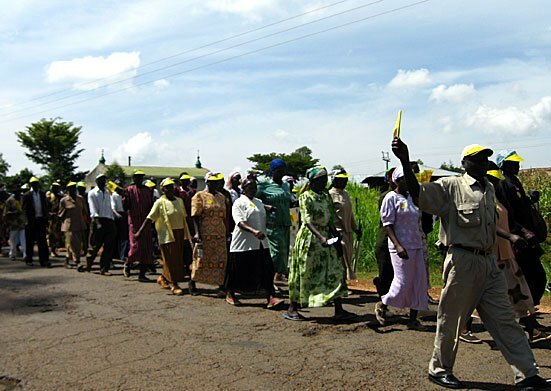 Most people in Maragoli face major obstacles in obtaining adequate health care, including a shortage of doctors and medicines, high costs at government hospitals, and long distances to clinics. The toll from malaria and other preventable diseases, especially on young children, is high. Our health care initiatives have focused on two big projects—construction of a rural health clinic and programs to combat HIV/AIDS. Together, these initiatives have provided a first line of treatment for illness and have allowed HIV-positive individuals to lead relatively normal lives in an atmosphere of reduced stigmatization. Wherever possible, our projects have been designed to augment and complement the robust tradition of natural remedies and midwifery in the Maragoli region.